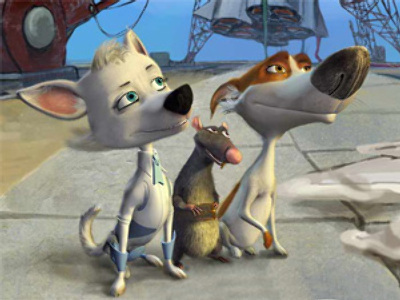 Russia's first 3D cartoon, "Belka and Strelka," has skyrocketed at box offices across Europe. The 3-D animated feature, based on the true story of an historic 1960 space mission, revolves around two heroic dogs sent into orbit aboard a Soviet spaceship who successfully returned back to Earth. Back in 1960, the real Belka and Strelka became the first animals ever to survive a trip into orbit. This time around, according to Russia’s Kinobusiness cinema industry resource, they set another record, grossing more than $1 million in Poland, where it has been doing nearly as well the Hollywood blockbuster "Resident Evil 4." At home, "Belka and Strelka" got nearly $4 million, coming in fourth in its opening weekend. 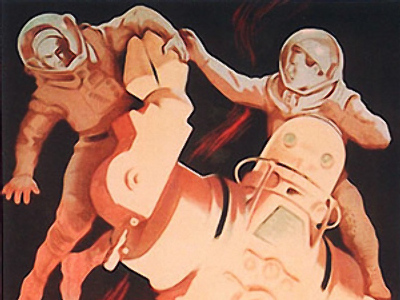 The title of Russia's most successful film still belongs to "Day Watch," the 2006 sci-fi sequel to the hit "Night Watch" that grossed $33 million worldwide.